You are at:Home»Internships»Internship Experience»Internship at Law Chambers of Senior Advocate Ms. Geeta Luthra, New Delhi. Internship at Law Chambers of Senior Advocate Ms. Geeta Luthra, New Delhi. Area of work: All types of cases are dealt with including Family law, civil, criminal, constitution. Work environment -seniors, colleagues, timings: Interns are required to work all the time. Work environment was pretty dynamic. People were friendly, helpful and cooperative. Ms. Geeta Luthra personally assigns work at times. She always appreciates the good work of interns to keep them motivated. Associates are friendly, which creates a comfortable ambience. No strict timings are followed but one has to report at Delhi High Court lawyer’s Chamber at 10 am. There is no certainty of the time of work finishing up. One can leave by 10 PM generally. Leaving office before 9 pm is an exceptional case, that too if you are lucky enough or have a very urgent piece of work. Sundays are generally off, if nothing very important is there. Monday to Saturday are the working. Stipend: Rs. 2000 per month. Recommendation (a rating of the overall experience): 4.5/5. 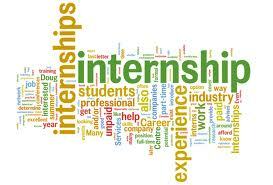 A must do internship, especially for those who are looking forward for litigation as a career. Previous ArticleInternship at DSK Legal, Mumbai. Next Article CLAT First Provisional List to be reviewed soon.